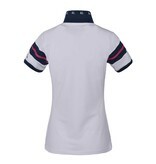 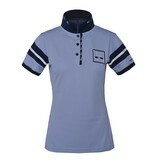 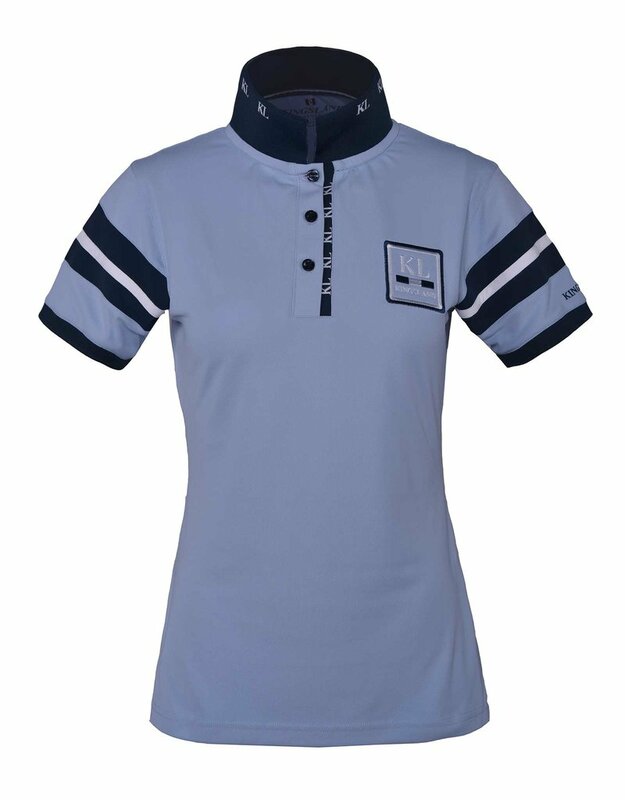 Soft polo pique shirt with quick dry function. 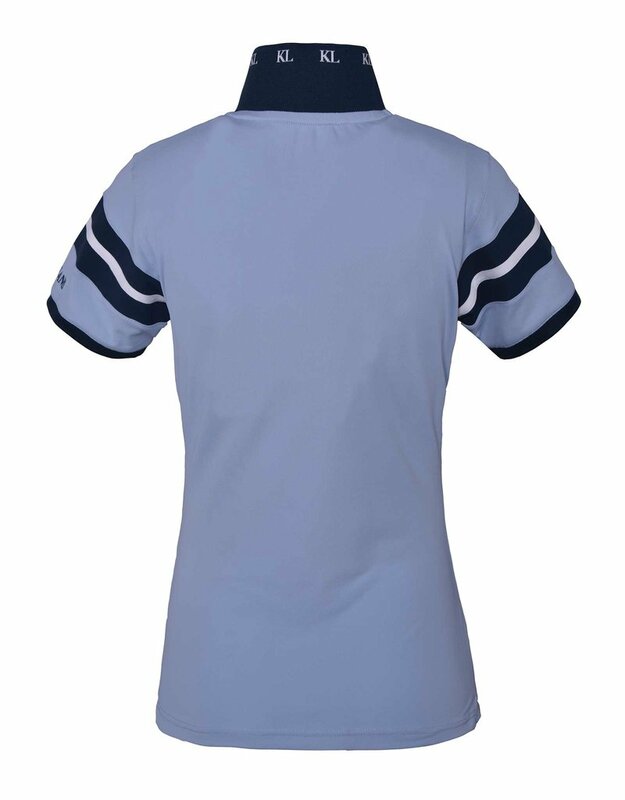 3-coloured elastic tape inside neck seam and side slit. 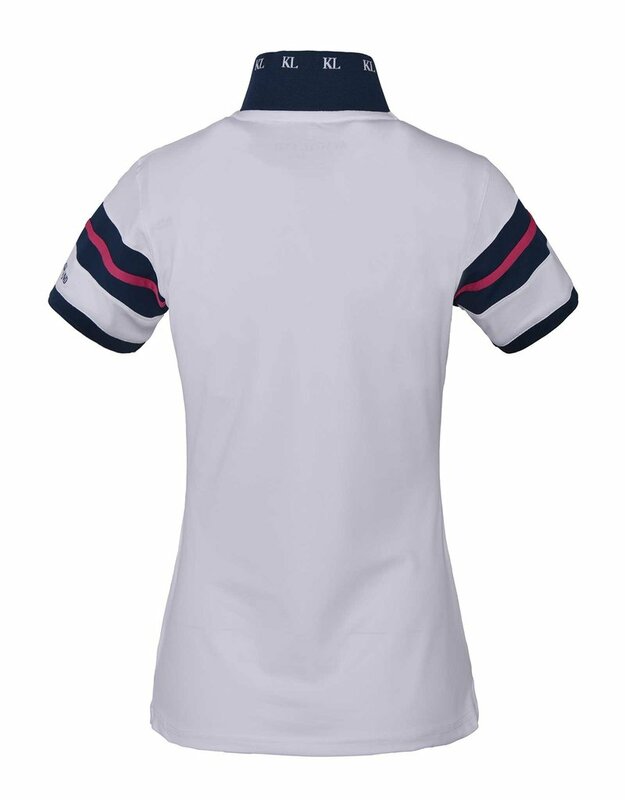 Contrast stripes on sleeves and at rib on inner placket. 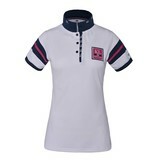 KL logo on collar and placket rib. 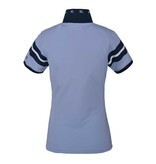 Logo embroidery on chest and on left sleeve.